Join New York Times and USA Today bestselling author Shelley Shepard Gray for a visit to Amish Country! 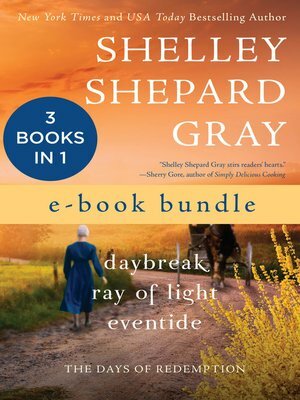 Get all three novels in Shelley Shepard Gray's The Days of Redemption series in one delightful e-book, including: Daybreak, Ray of Light, and Eventide. This exciting series from beloved author of Amish romance, Shelley Shepard Gray delves into the workings of three generations of an Amish family, where nothing is as perfect as it seems.